July 15th launch date for T-Mobile Dash 3G? 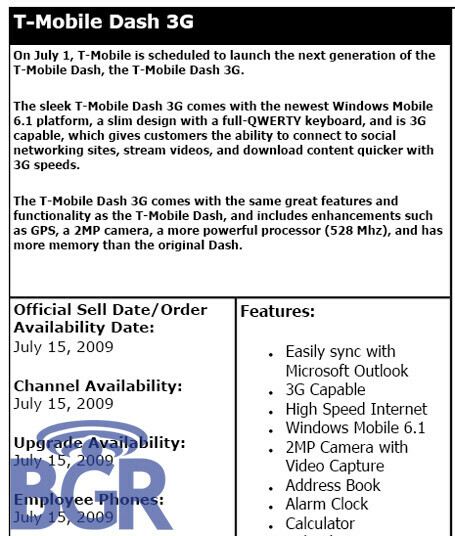 A leaked product information sheet from T-Mobile indicates a July 15th launch date for the HTC Dash 3G. The device is expected to be the carrier's version of the HTC Snap with a 2MP camera, QWERTY keyboard, T-Mobile AWS 3G connectivity, a microSD slot and Windows Mobile 6.1. The cost of the device is still unknown as pricing was not mentioned on the sheet.